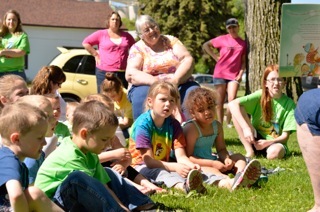 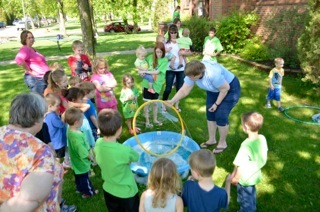 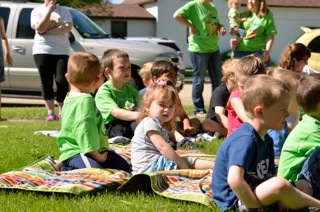 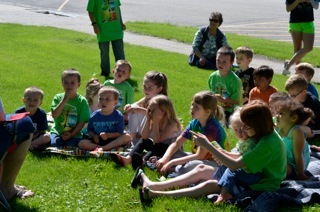 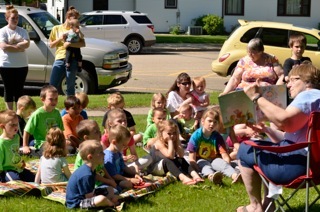 We started our Summer Storytimes off with a bang with our Bubble themed program. 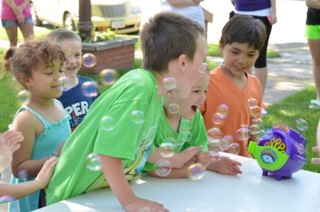 Everyone loved all the bubbles!! 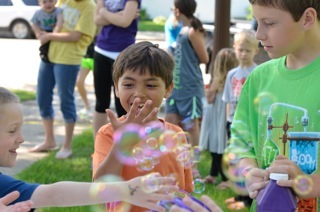 A special “Thank You” to Mary Kay Schuh who brought her special bubble mixture and made giant bubbles that fit around the kids.